Yesterday morning I stumbled into the “Theological Interpretation of Scripture Seminar” on “The Theological Significance of Wirkungsgeschicte/Reception History. I knew that Stephen Fowl would be good, but did not realize that I was in the company of a number of heavy hitters. Rusty Reno, the general editor of the Brazos Theological Commentary Series, presented. John Thompson, the author of newest Genesis commentary within the Reformation Commentary Series also presented. What follows are brief summaries of what I found to be the more interesting aspects of each of these presenters’ presentations. Stephen Fowl’s paper, Effective-history and the Cultivation of Wise Interpreters, addressed the interpretive practices of pre-modern interpreters and how modern interpreters have appropriated their works. Fowl notes that the use of pre-modern interpreters by modern interpreters is disappointing. If they are used, they are called upon for their theological formulations. In other instances, brief snippets are collected based upon the uniqueness or applicability to the conversation at hand. 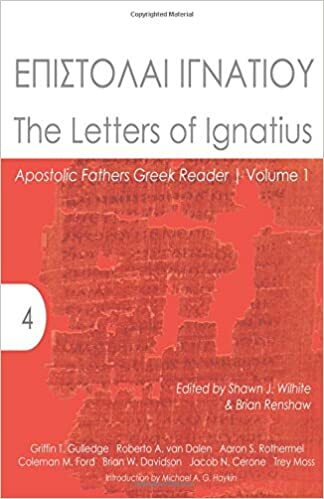 Despite all the use of the Fathers in modern commentaries, the one thing that is lacking is the utilization of premodern methods and habits of exegesis. That is not to say that we should uncritically accept the all the methodological practices of the early church. Scholarship has changed and we should take note of that. Though Fowl does not provide detailed examples of how this should look in practice, he does not that we should hold both modern interpretive practices and premodern interpretive practices together. They should exist together in a theological interpretation of Scripture within commentaries. The final presenter for the session, John Thompson, mainly discussed the process involved in writing a commentary for the Reformation Commentary Series. He posed the question, “How does one avoid subjectivity when selecting material for a commentary of this nature?” His conclusion, you don’t. He selected ~1500 paragraphs, only ~900 of which made the cutting room floor. In selecting material, he tried to eliminate the polemical material (though not entirely so as to avoid wholesale sanitation), listen for the minority voice, and at the same time provide an overall representative swath of Reformation exegesis. The presentation was excellent and informative. I found these two presentations, when considered in light of one another, to be…interesting. I have long considered the worth of the Ancient Christian Commentary series as well as the Reformation Commentary Series. Try as they may, authors cannot avoid removing exegetical statements from the overall method and argumentation of the larger work. Isn’t this exactly what Fowl is talking about? We have taken bits here and there but have not internalized methods and habits. We are only looking in, like peeping Toms, on a work we have no relation to. This entry was posted in Biblical Studies, SBL and tagged John Thompson, Stephen Fowl, Theological Interpretation of Scripture. Bookmark the permalink.